Washington D.C., April 16: In a landmark clinical trial, researchers have found that a drug called canagliflozin decreases the risk of kidney failure by third in the patients' suffering from Type 2 diabetes and kidney disease. The study published in the journal New England Journal of Medicine involved 4,401 participants in 34 countries. "For the first time in 18 years, we have a therapy for patients with Type 2 diabetes and chronic kidney disease that decreases kidney failure," said Kenneth Mahaffey, senior author of the study. Diabetes Mellitus: Include These 5 Foods in Your Diet To Lower Blood Sugar. The drug, canagliflozin, improves a nearly two-decades-old therapy, currently the only approved treatment to protect kidney function in people with Type 2 diabetes. In the trial, canagliflozin was also found to reduce the risk of major cardiovascular events. Canagliflozin increases the excretion of glucose through the kidneys. It has already been approved by the Food and Drug Administration to lower blood glucose in patients with Type 2 diabetes and to reduce the risk of major adverse cardiovascular events in patients with Type 2 diabetes and existing heart disease. "People with diabetes and kidney disease are at extremely high risk of kidney failure, heart attack, stroke and death. With this definitive trial result, we now have a very effective way to reduce this risk by using a pill once a day," said Vlado Perkovic, the lead author of the study. Participants in the trial received the best care available for kidney disease under the current guidelines, a type of therapy called the renin-angiotensin-aldosterone system, or RAAS, blockade. In addition, half were randomly selected to receive canagliflozin, while the other half were given a placebo. Eggs for Breakfast Benefit Those with Type 2 Diabetes. The primary results of the study found that participants who took canagliflozin were 30 per cent less likely than the placebo group to develop kidney failure or die from either renal failure or cardiovascular disease. Their risk of kidney failure or death from kidney failure was reduced by 34 per cent, and the risk of hospitalisation for heart failure or death due to cardiac causes decreased by 31 per cent. People with diabetes can develop kidney disease because prolonged high blood sugar harms blood vessels in the kidney. In addition, diabetes often causes high blood pressure, which can stretch and weaken blood vessels in the organ. For the past two decades, physicians have largely relied on RAAS blockade to prevent the deterioration of kidney function in diabetic patients. Although RAAS blockade lowers blood pressure and delays progression of kidney disease, patients undergoing this treatment remain at high risk for renal failure and cardiovascular disease, as well as death from these conditions. 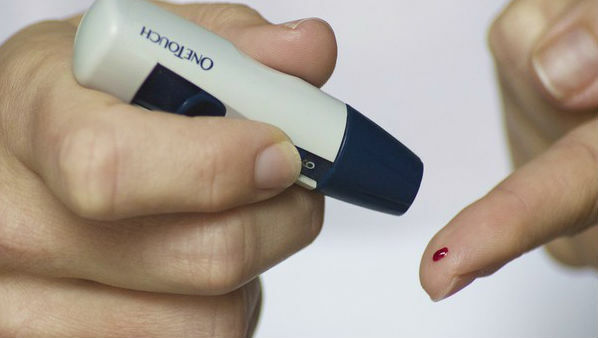 Diabetes Signs, Symptoms, Causes and Treatment.